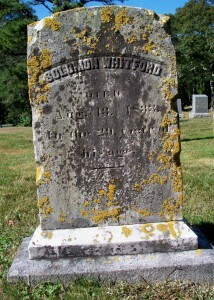 Born: February 1803 in Sandwich Ma. 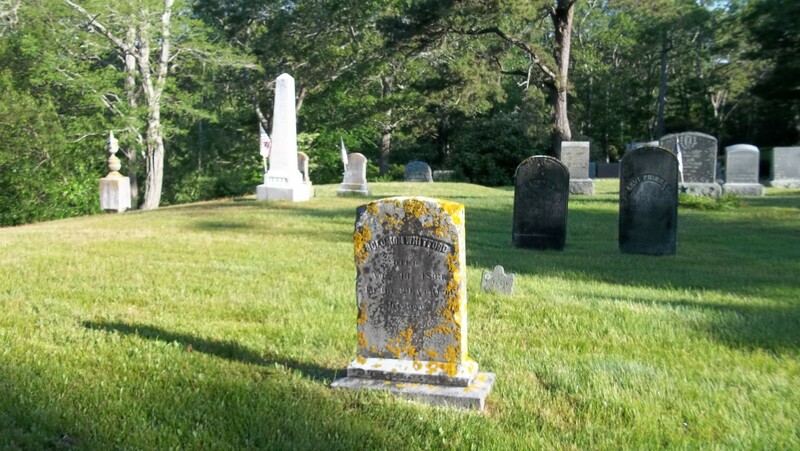 To: Polly Lumbert; (1805 – 1899) (Hezekiah Lumbert & Mary (–)); Polly married (2) Jonathan Parker, Jr. (1798 – 1884) (Jonathan Parker & Martha Lovell) in Sandwich Ma. on November 5, 1850. 1. 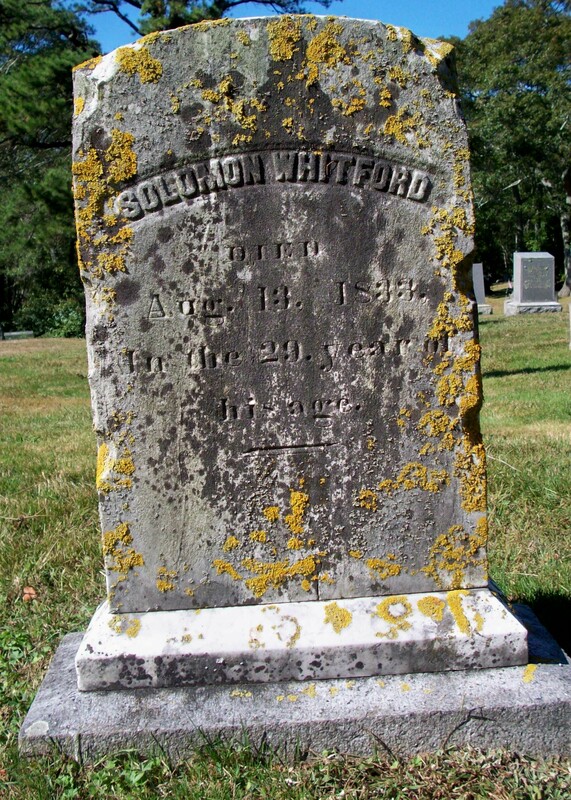 Almira Whitford; (December 9, 1830 – June 5, 1849); Almira died at 18 yrs, 6 mos, 5 d. & is buried in Pocasset Cemetery.